Emerging markets like India, China and Brazil have a huge chunk of population waiting to be online and companies like Google, Facebook and even Apple have realized the importance of tapping into these markets. Stripped down version of apps are becoming a trend these days, with the latest addition of YouTube Go. 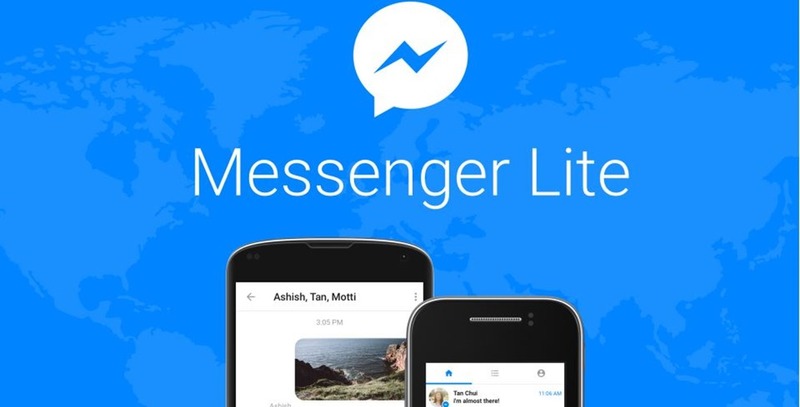 Launching a lighter version of Messenger, Facebook has unveiled the Messenger Lite standalone app for developing countries like India, Sri Lanka, Brazil and Kenya etc. The app will work on slow internet speeds, like 2G and will work on Android smartphones that sport the bare minimum specifications. The application will work regardless of the type of Android smartphone and the type of internet connection. This app will work exactly the way Facebook Lite does, and with similar functionalities and features. Messenger Lite will take less than 10MB of space on your phone, so it’s fast to install, quick to start up and light on storage. It includes Messenger’s core experiences such as messaging, sending and receiving photos and links, and receiving stickers. However, Messenger Lite users will not be able to make voice calls, video calls or P2P payments on the platform. This limited functionality is also what keeps the size of the app down and it more simple to use. Messenger Lite uses the same bolt logo as Messenger, but with colors reversed. The bolt is blue with a white chat bubble background. For those who’re looking to just have the Messenger app with the chat functionality can actually download it on their smartphones. In fact, Facebook should offer this to all those Android users that do not want to download a separate messenger on their smartphones. Messenger Lite is starting to roll out to people in Kenya, Tunisia, Malaysia, Sri Lanka and Venezuela, and will come to other countries, including India, soon. Do not fall for similar named apps for Messenger, since Facebook’s app will be the legit one for your smartphone. "Facebook Launches Messenger Lite For Emerging Markets; Coming to India Soon", 5 out of 5 based on 1 ratings.